1. Search options are readily available at your fingertips from the Home Screen. 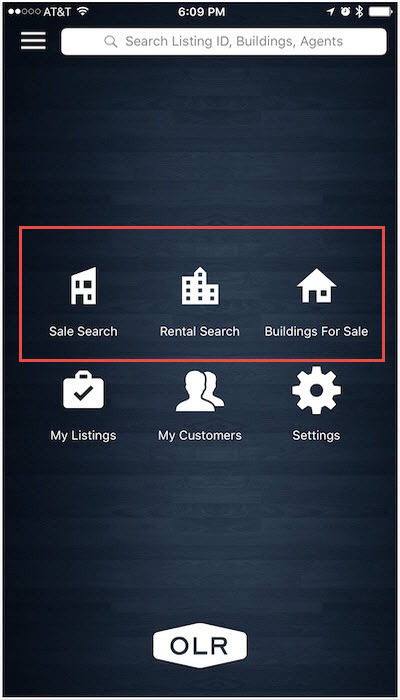 Select Sale Search, Rental Search or Building for Sale Search to proceed. 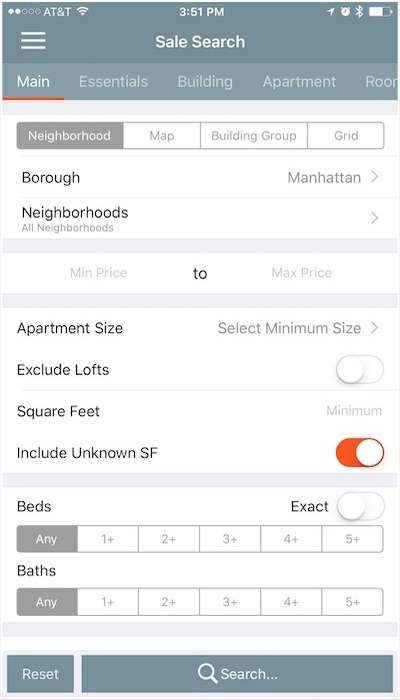 Once you select the type of search, you can define it further by entering the price range, size, and location. Your location is set to Manhattan by default. You can choose your own default Borough under your Settings. Please refer to the Settings. 2. 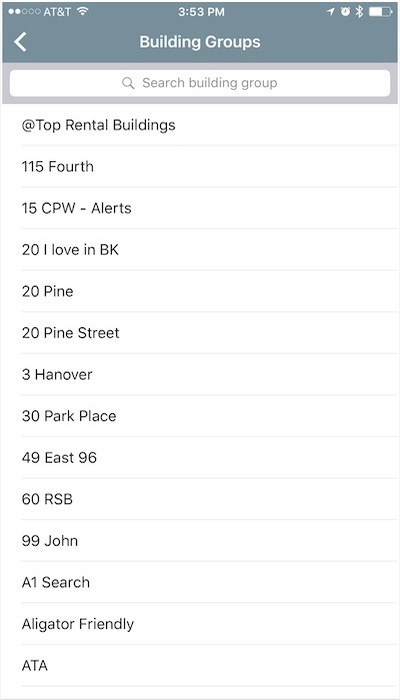 If you wish to conduct your search using Map, Building Group, or Street Grid - simply tap on the drop down menu and select that that option. Building Group - Currently, you can only select building groups you've created on desktop website. Use the search bar to find the building group you want to use for your search. 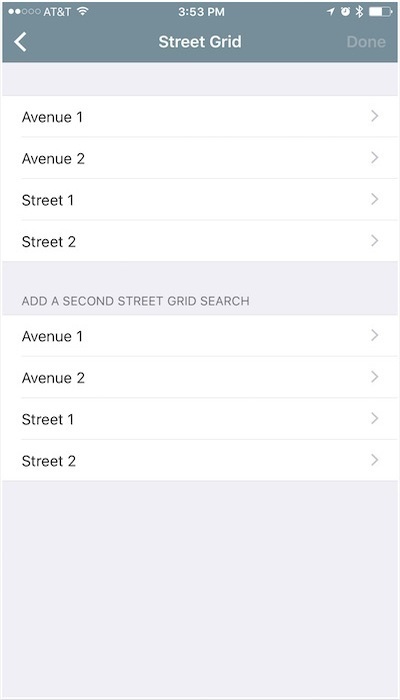 Street Grid - OLR allows user to select two distinct street grids (example: 62-66th Street, Lex to Park and 79-86th Street, Fifth to Madison) to conduct their search should they have the need. 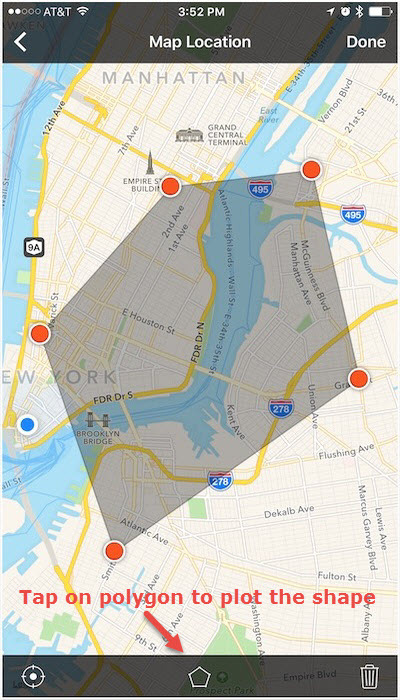 Map - When taken to the map, drag it to the area you'll be doing your search in. Tap on the polygon icon. 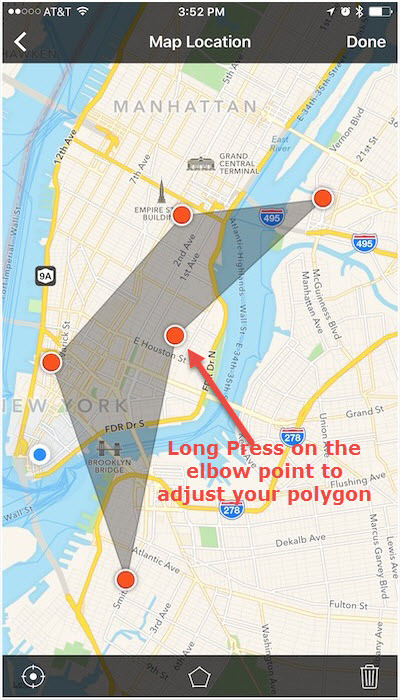 Tap on corner points of your polygon to create your search. Use the trash icon to delete the selection and start over. 3. 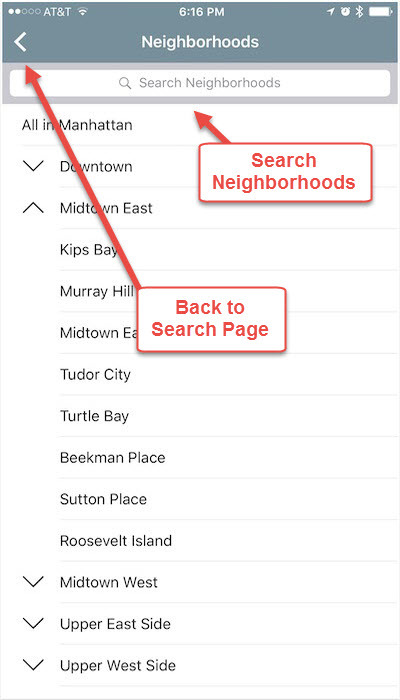 Keep in mind that it's often faster to search for neighborhoods rather than scrolling trough all the results. 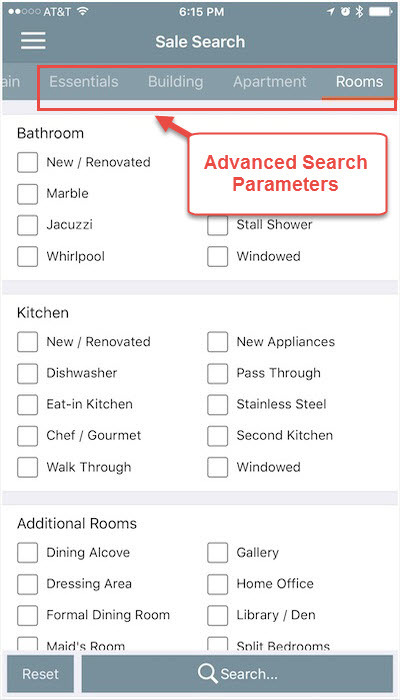 There are no required fields aside from Location to perform a search, but you can further define it by swiping right and updating requirements under ESSENTIALS, BUILDING, APARTMENT, and ROOMS. Once satisfied, tap search button and proceed to Search Result Page.